A late Bob McHugh strike broke Cowdenbeath hearts as they thought they had secured Championship status for next season. Kane Hemmings scored 15 minutes from time in a low-quality match but Queens` equaliser six minutes in to stoppage time killed off the Blue Brazil. 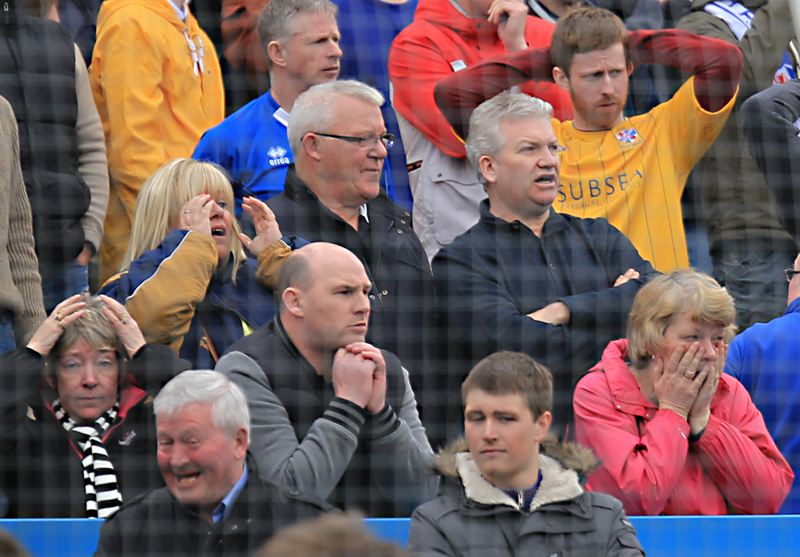 Queens went in to Saturday`s match knowing fourth in the league was virtually secured barring a freak result in the Dundee V Dumbarton title-decider. However, the Doonhamers had the chance to resign Cowdenbeath to ninth in the Championship and embroil Jimmy Nicholl`s side in a relegation battle via the play-offs. With Jim McIntyre`s side boasting an unbeaten record against `Beath this season, Queens looked to be the favourites going in to the final regular season game before the play-offs - and the chance to play in next year`s Premiership. 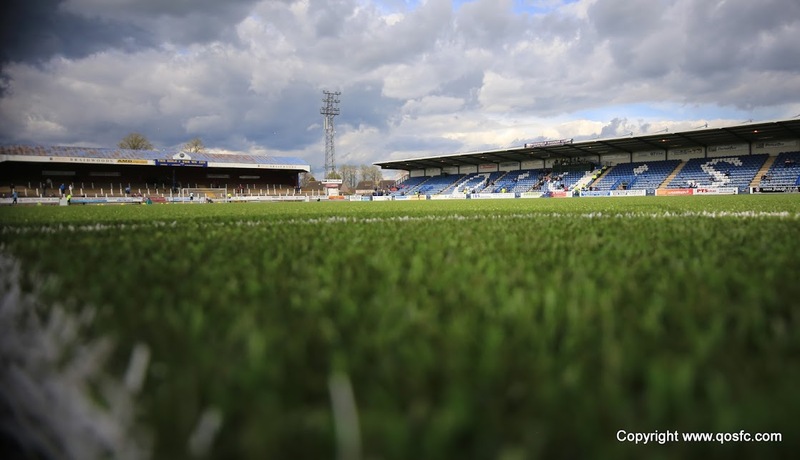 There were 7 changes to the side that defeated Livingston a week ago at Palmerston and with a good combination of youngsters and experienced heads like Derek Young and Andy Dowie, Queens set up to attack the Central Park side. And in the opening ten minutes that`s exactly what the visitors did with Lewis Kidd making his first start for the Doonhamers and looking extremely lively. 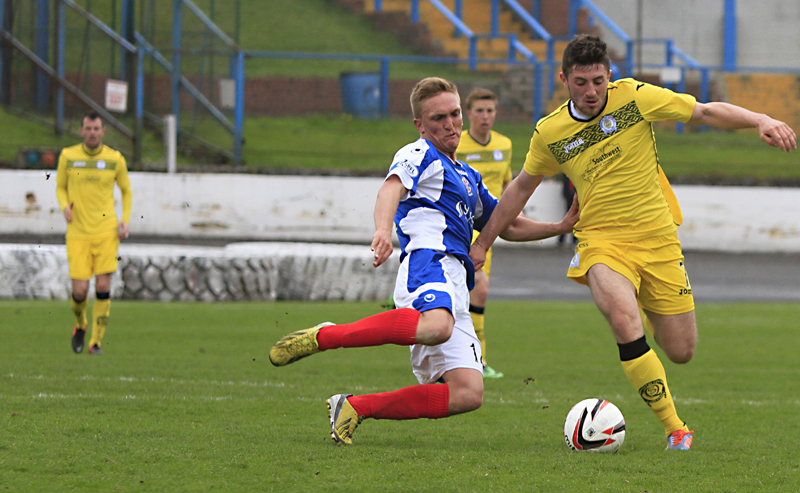 Daniel Carmichael also returned to the squad and both he and Kidd added an extra dynamic to Queens going forward. John Armstrong perhaps should have done better with his header after 17 minutes but the `Beath Captain couldn`t test Queens `keeper Zander Clark. 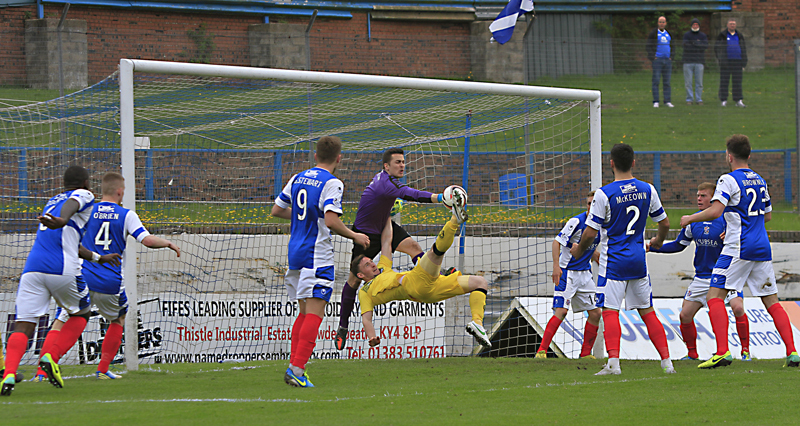 However, Rory McKeown`s long throw-ins looked capable of causing the Doonhamers some trouble. Yet it was McKeown`s feet that caused issues for Queens as he picked out SPFL Championship player of the year Kane Hemmings who headed the ball inches by the post as Clark looked on helpless. Jimmy Nicholl`s side were starting to find their feet in a rather sluggish opening 25 minutes at Central Park. Once again, McKeown was the root of the Queens problems as he remarkably struck the bar from the half-way line just before the 30 minute mark. Zander Clark rushed out to clear any danger but the ball landed to the `Beath left-back who thought he had opened the scoring for the Blue Brazil - only to see his shot clip the top of the woodwork. Chances continued to fall Cowdenbeath`s way as Darren Brownlie and Greg Stewart missed glorious opportunites for the hosts and Queens were starting to fade away but thankfully for McIntyre`s men the half time whistle came. Gavin Reilly was brought on at half time to try and add some impetus in to the Queens attack but after taking a nasty knock just outside the box, the youngster was taken off the park on a stretcher, with manager Jim McIntyre revealing the striker would miss the play-offs. Cowdenbeath picked up the pace once again in the second half but they failed to produce anything in the final third which summed up the game. Both sides had to rely on mistakes to create meaningful opportunities and Kane Hemmings was almost gifted a goal after Andy Dowie slipped twelve yards out but the former Rangers forward was wasteful and fired wide. Queens had their first shot on target in the second half with 20 minutes to go when Lewis Kidd hit a fantastic strike that looked destined to find the top corner but `Beath stopper Thomas Flynn pulled out a superb diving save to keep the game level. From the resulting corner Queens should have found the back of the net but Cowdenbeath were throwing everything behind the ball to keep themselves in the Championship. They took a giant step towards safety five minutes later when Kane Hemmings shrugged off stand-in captain Chris Higgins and calmly slotted the ball past Clark - to the delight of the Central Park side. The remainder of the game seemed to fizz out with Cowdenbeath looking to double their lead but it they couldn`t find that all important second. In stoppage time Queens found an equaliser to break the hearts of Cowdenbeath and send them in to the relagataion play-offs. 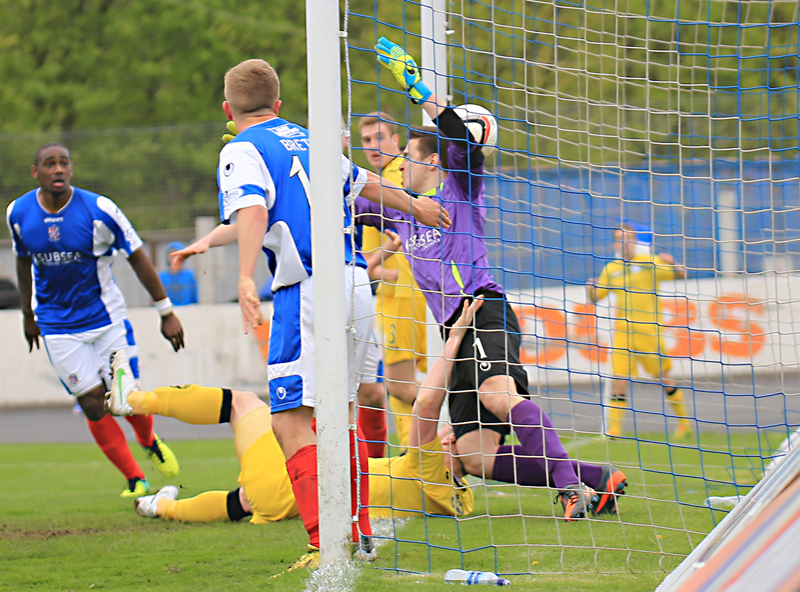 A goalmouth scramble lead to chaos in the box and eventually the ball was knocked in by on loan striker Bob McHugh. The full time whistle followed the goal moments after and Queens now look forward to hosting Falkirk at Palmerston on Tuesday in the first of two legs. As for Cowdenbeath, they face League One side Ayr in the play-offs with a chance to keep themselves in the Championship for another season. It may not have been a glamorous end to the season but for Queens the season begins all over again on Tuesday. 14:59 The teams are out to a great reception from the travelling Doonhamers. 6 min Opening five minutes and Queens are asking questions of the `Beath back four. 7 min Cowdenbeath hitting back now winning the first corner of the game. 7 min The offside flag is raised against Hemmings and the danger is cleared. 14 min Carmichael and Kidd looking lively in the opening period. 16 min Hemmings has a weak effort on goal as both teams have failed to create any real chances. 19 min Still 0-0 at Central Park with very little created by both sides after the opening 20 minutes. 22 min Great chance for Cowdenbeath as Kane Hemmings heads the ball just past the post. 30 min Rory McKeown clips the bar for Cowdenbeath from the half-way line! Huge let-off for Queens. 32 min Today`s Attendance at Central Park is 1053. 44 min 5 minutes to go in the first half and Cowdenbeath look the more threatening side. 50 min Moments after coming on Gavin Reilly is making his way off the park on a stretcher, looks to have taken a bad knock. 57 min The game has failed to spark in to life in the second half, 30 minutes to go here. 59 min Bob McHugh gets on the end of a loose ball but the striker sends the ball over the bar. 62 min A penalty appeal from Cowdenbeath is waved away by Referee John McKendrick. 86 min 5 minutes to go here at Central Park - Kane Hemmings goal separates the sides.